Give your new puppy time to get used to his new home. It could take a while for your pup's personality to shine through. Editor's note: Morieka Johnson writes about pets, fashion and money-saving ideas for MNN.com. You can follow her and many other green writers on Twitter @MotherNatureNet. (MNN.com) -- They're cute, they're cuddly and they greet you with wet kisses when you walk through the door -- no matter how long you've been away. Dogs may even help reduce your blood pressure, enhance your mood and induce a few laughs every now and then. What's not to love about having a dog? Evaluate your daily routine to determine your preferences, said Andrew Zbeeb, a certified dog trainer and owner of Frogs to Dogs, which helps pooches and their human companions build a successful foundation together. If you enjoy a long morning jog, an active dog may be your best option. Confirmed couch potatoes need a pooch that's ready to curl up in front of the TV. The same rule applies to the dog's appearance. Some dogs require more grooming than humans. Consider the amount of upkeep you are prepared to tackle. A shaggy dog may seem like a fun option, until you have to sweep all those golden locks off the floor every day. Check out the American Kennel Club's list of breeds for detailed information about the appearance and general temperament of various dogs. "This information will guide you to be able to match a breed with the circumstances you can offer," Zbeeb said. "But it is important to remember that those are only the genetic traits." Pet-friendly websites like Animal Planet and Eukanuba feature interactive tools to steer you in the right direction. It also helps to do a little field research by visiting dog parks, animal shelters and rescue groups to see if you connect with a particular type of dog. Dogs in county shelters typically cost less than $100, a fee that covers any necessary vaccinations as well as spaying or neutering the dog. Taking this route saves an animal from possibly being euthanized, a fate that millions of adoptable dogs face each year. To relieve overcrowding, shelters often give adoptable dogs to rescue groups such as Rescue Me! Animal Project. These nonprofit organizations serve as puppy PR firms, exposing the dog to potential families through sites like Petfinder.org, Facebook and adoption fairs. The adoption fee is typically higher -- many charge about $200 -- to covers the dog's vaccinations, spay or neuter, a microchip and pet supplies. MNN: Airlift operation rescues overabundance of Chihuahuas in L.A. Rescue groups also place dogs in foster homes where they can learn the pleasures of just being a family pet. This experience often helps the dog make an easier transition into its forever home. That foster home experience helps a rescue group provide key information about the dog's temperament, which is essential information if you have small children in the home. "Learn as much as possible about the background of the dog before taking any unnecessary risks with small children," Zbeeb said. "It is important that you adopt a dog that has a proven history of liking kids. Even with that, one should always seek out a professional trainer, so the children and new dog can learn how to safely live together." Reputable rescue groups will conduct thorough interviews and perhaps even perform a site visit because their ultimate goal is to help adoptable pets avoid euthanasia. Often that means the dog can be returned if things don't work out. "We want the animal to find their forever home, so we want to make sure there's a good match from the beginning," said Taylor Brand of Rescue Me! "We look for someone who is open to training; someone who wants to learn more about their dog. A better-trained dog is a better-behaved dog." Determined to get a purebred? With all the dogs currently available, purchasing a dog from a breeder is as green as buying a Hummer. Some breeds can cost thousands of dollars based on demand. The quest for designer pups also has led disreputable breeders to place dogs in unsafe conditions -- frequently referred to as puppy mills -- where they are bred repeatedly under abusive conditions that cause lasting damage to the dog. Finding a reputable breeder requires even more research. Most do not advertise, and the dogs are not bred very frequently so there may be a waiting list. Breeders also tend to screen candidates prior to adoption to ensure a good fit. 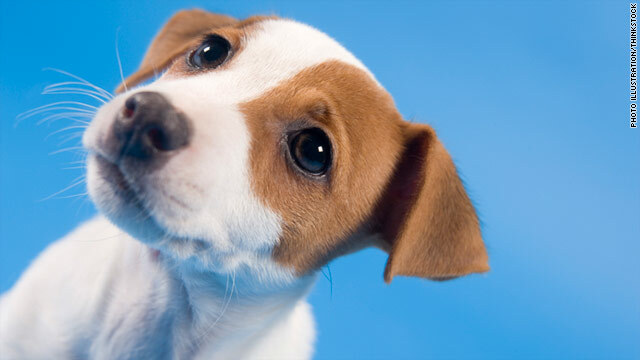 Your veterinarian is a good source for referrals to reputable breeders, Zbeeb said. The breeder also should be able to show proof of the dog's ancestry and temperament. Keep in mind that this information helps eliminate some of the guesswork regarding a dog's behavior, but not its personality. "A purebred German Shepherd typically is protective of its handler and is a very good guard dog, but I have also trained German Shepherds that were lazy," Zbeeb said. "You have to supply the optimum environment for your dog to develop properly." If you absolutely, positively must have a purebred, Zbeeb and Brand note that there are plenty available for adoption. The purebred pup of your dreams may be waiting at a local shelter or rescue group site. From cane corsos to miniature schnauzers, breed-specific rescue groups work overtime to place purebred dogs. Just do a Google search for the type of dog you want, and add the word "rescue." Knowledge is power: Gather information about the dog's past. (Were there children in the previous household? Are there signs that the dog spent its life outdoors?) The smallest amount of information can help you make necessary adjustments. More advice on helping pets and children peacefully coexist is available on Mother Nature Network. Be patient: "Give the dog time to get used to his new home," he said. "It may take a month or longer for you to see the real personality of your new pal." Go to school: Join a group training class with your new dog. "It's a great way the both of you to develop a strong foundation, and for you to learn more about your dog's personality," Zbeeb said. Crate with care: The crate should be a safe haven that your dog chooses for time out. "Forcing him to be in the crate will create a negative association," he said. Instead, allow about two weeks for the dog to get acclimated to this new space. "Feeding and placing toys in the crate is a great way to establish that the crate is his safe place." No roaming: "Your dog must be properly trained and mature enough before he roams free in the house," Zbeeb warned, especially if the dog came from the cramped spaces of a shelter. Monitor your dog and slowly extend free time. Don't force a friendship: If you have another dog in the home, he said that the new dog must be introduced in a neutral location. "The introduction of the new dog into your home should be a slow process," he said. "Don't rush it." Dogs have a carbon pawprint, too: Take steps to make sure your furry friend does his part for the planet.